Trials are medicines which our gracious and wise Physician gives because we need them; and the proportions, the frequency, and weight of them, to what the case requires. Let us trust His skill and thank Him for the prescription. In the second aliyah, we are told to “remember the days of old and reflect upon the years of previous generations” (32:7). Is there any greater proof for God and the truth of the Torah than Jewish history? Despite all the hate, persecution, exile, and genocide, the Jewish people are still alive and well, prospering as much as ever. Does it make sense that 0.2% of the world’s population wins over 20% of the world’s Nobel Prizes? (Out of 881 Nobels awarded thus far, 197 were awarded to Jews, who number just 14 million or so. Compare that to the 1.8 billion Muslims in the world—roughly 25% of the world’s population—who have a grand total of three Nobel Prizes in the sciences.) Does it make sense that a nation in exile for two millennia can return to its ancestral homeland, defeat five professional armies that invade it simultaneously (and outnumber it at least 10 to 1), and go on to establish a flourishing oasis in a barren desert in just a few short decades? Does it make sense that tiny Israel is a global military, scientific, democratic, and economic powerhouse? And yet, does it make any sense that the United Nations has passed more resolutions against Israel than all of the rest of the world combined? There is no greater proof for God’s existence, for the truth of His Torah, and the distinctiveness of the Jewish people than history itself. It is said that King Louis XIV once asked the French polymath and Catholic theologian Blaise Pascal for proof of the supernatural, to which the latter simply replied: “the Jews”. Although Pascal—who was not a big fan of the Jews—probably meant it in a less than flattering way, he was totally correct. 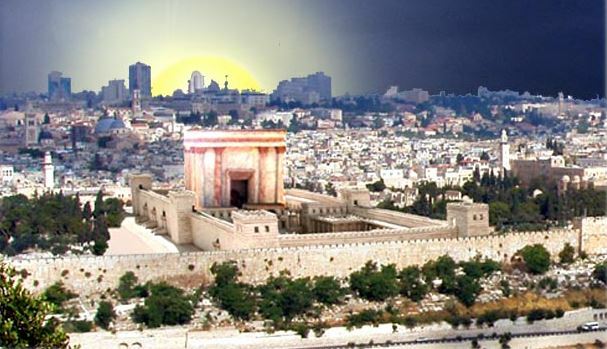 From the third aliyah onwards, Ha’azinu describes what the Jewish people have unfortunately experienced through the centuries: God gives tremendous blessings, which eventually leads to the Jews becoming “fat and rebellious”. They forget “the God who delivered” them (32:18). This is precisely when God hides His face (32:20), and just as the Jews provoked God with their foolishness and assimilation, God in turn “provokes [them] with a foolish nation”. God sends a wicked foreign nation to punish the Jews—whether Babylonians or Romans, Cossacks or Nazis—to remind the Jews who they are supposed to be: a righteous, Godly people; a light unto the nations. If the Jews will not be righteous and divine, God has no use for them. Having said that, this does not exonerate those Cossacks and Nazis, for they, too, have been judged. They are a “foolish nation”, a “non-people”, who themselves merit destruction, and God “will avenge the blood of His servants” (32:43). The song ends with a promise: Israel will atone and fulfil its role, its enemies will be defeated, and God will restore His people to their land. The song of Ha’azinu beautifully summarizes the purpose and history of the Jewish people, and elegantly lays down the responsibilities, benefits, and consequences of being the nation tasked with God’s mission. Not surprisingly then, God wanted all of Israel to know Ha’azinu very well, and meditate upon this song at all times. This is why it was given in the format of a song, since songs are much easier to memorize and internalize then words alone. Music has the power to penetrate into the deepest cores of our souls. In fact, the Zohar on this parasha writes that music is the central way to elevate spiritually, and can be used to attain Ruach HaKodesh, the prophetic Divine Spirit. Elsewhere, the Zohar goes so far as to say that Moses’ prophecy was unique in that all other prophets needed music to receive visions, while Moses alone could prophesy without the help of song! Today, we have scientific evidence that music deeply affects the mind. It triggers the release of various neurotransmitters, and can rewire the brain. It has a profound impact on mood and wellbeing, and can be used to induce all sorts of mental and emotional states. Music is powerful. 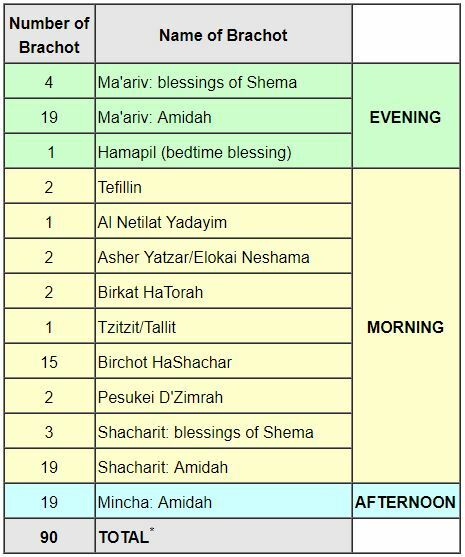 So important is Ha’azinu that it is always read during the High Holiday period, usually on Shabbat Shuvah, the Sabbath of Repentance, or Return. So important is Ha’azinu that it is most often the first parasha read in the New Year. And so important is Ha’azinu that it was commonly believed the entire Torah is encoded within it. 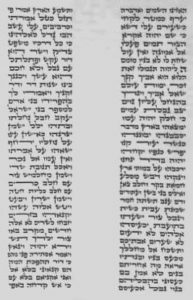 When our Sages derived the mitzvah of writing the Torah from the command of writing Ha’azinu, they literally meant that Ha’azinu encapsulates the whole Torah! The Ramban went so far as to teach that all of history, including the details of every individual, is somehow encrypted in Ha’azinu. This prompted one of the Ramban’s students, Rabbi Avner, to abandon Judaism and become an apostate. 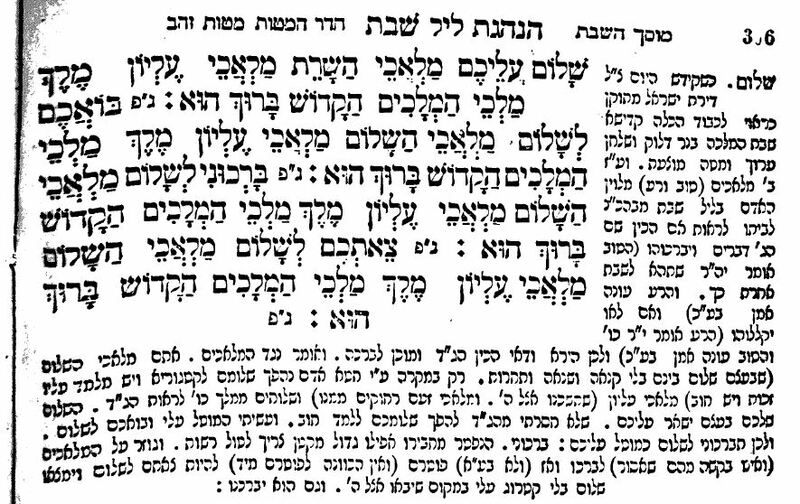 In a famous story, the Ramban later confronts Avner, and proves that Avner’s own name and fate is embedded in one of Ha’azinu’s verses. In past generations, many people customarily memorized Ha’azinu. 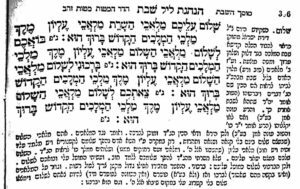 The Rambam (Hilkhot Tefillah 7:13) cites another custom to recite Ha’azinu every morning at the end of Shacharit, and the Talmud (Rosh Hashanah 31a) states that in those days it was read every Shabbat. 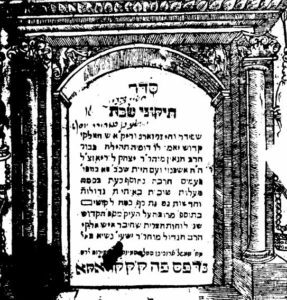 This Shabbat, take the time to read Ha’azinu diligently, and see why it was always considered the most important Torah reading. Perhaps you will even find your own life encoded in its enigmatic verses. Wishing everyone a sweet and happy new year! Shana tova v’metuka! 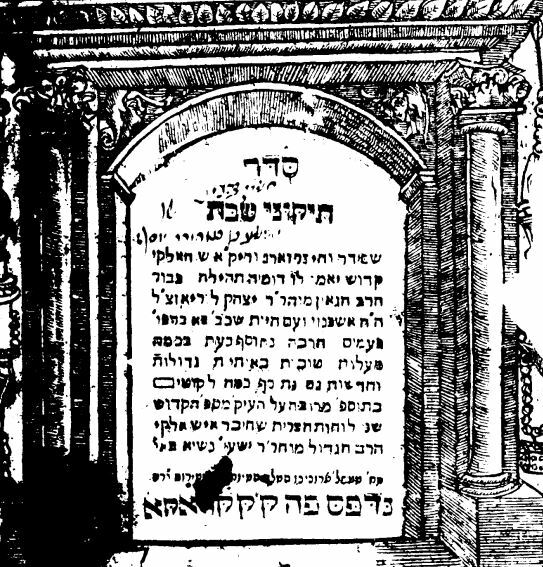 This entry was posted in Archaeology & History and tagged 613 Commandments, Blaise Pascal, Brain, Divine Spirit, Ha'azinu, High Holidays, History, Isaac Newton, Mind, Miracles, Mitzvot, Music, Nobel Prize, Prayer, Proof for God's Existence, Proof for Torah, Prophecy, Rambam, Ramban, Rosh Hashanah (Tractate), Ruach HaKodesh, Shabbat, Shabbat Shuvah, Shacharit, Simchat Torah, Song, Spirituality, Suffering, Zohar on September 19, 2017 by Efraim Palvanov. God promises that a person who fulfils His mitzvot will be blessed, and one who does not will be cursed. The phrasing is interesting: we might assume it would be clearer to say a person who fulfills God’s mitzvot would be blessed, and one who sins or transgresses the mitzvot will be cursed. 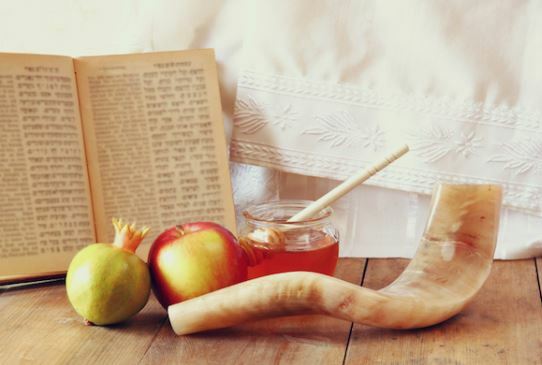 Instead, the Torah connects the observance of mitzvot with receiving blessing. What, exactly, is a blessing? And what does it have to do with a mitzvah? The Hebrew word for blessing, brakhah (ברכה), shares a root with two similar words. The first is brekhah (spelled the same way), which means a “pool” or source of water. The second is berekh (ברך), which means a “knee”. What do these seemingly unrelated things have to do with blessing? Our Sages teach that a blessing is a source of abundance, like a well from which water can be drawn continuously, hence its relation to brekhah. 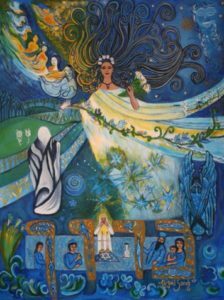 Each blessing in Judaism begins with the words Barukh Atah Adonai, meaning not that we are blessing God (which is impossible), but that we recognize God is the infinite source of all blessing and abundance. The name of God used here is the Tetragrammaton, denoting God’s eternity and infinity, alluded to by the fact that the Name is essentially a conjunction of the verb “to be” in past (היה), present (הווה), and future (יהיה) tenses. The blessing continues with the words Eloheinu Melekh haOlam. Now, the name of God switches to Elohim, referring to His powers as manifest in this world. Thus, he is described as Melekh haOlam, the “king of the universe”. That same ungraspable, ineffable God permeates every inch of the universe He created, controlling and sustaining the tiniest of details. And so, when we recite a blessing, we are stating that God is the ultimate source of all things, transforming the infinite into the finite, and showering us with constant abundance. This is where the second related root of berakhah comes in—the knee. Rabbi Aryeh Kaplan explains that the purpose of the knee is to allow a person to bend down or descend. Thus, when one recites a blessing, they are causing God to “descend” into this world, so to speak, and bless us. When we are blessing, what we are really doing is receiving a blessing. This is alluded to by the very root letters of the word for blessing, beit (ב), reish (ר), and khaf (כ), whose corresponding numerical values are 2, 200, and 20, respectively. These doublets represents the two-way nature of a blessing. Our holy texts affirm that God is constantly showering us with blessings. Yet, oftentimes it may seem like our lives are devoid of blessing. What’s going on? Imagine walking out into a torrential rain and trying to catch the water with your bare hands. No matter how much water is pouring over you, it is unlikely that you will succeed. Now imagine doing the same thing with a bucket in each hand. The same is true for blessings. One needs the appropriate vessel to receive the abundance. In this case, the vessel is the person. To receive holy blessings, the vessel must be made holy. This is accomplished through the performance of mitzvot, which are designed to rectify and sanctify the person. On a deeper level, the purpose of the mitzvot is to bind a Jew directly to God. In fact, it is taught that the root of mitzvah actually means “to bind”. God is the Infinite Source of all things, and if one wants to receive from the Infinite, they must only tap into It and form the right connection. Once such a connection is made, there is no end to how much blessing can be obtained. 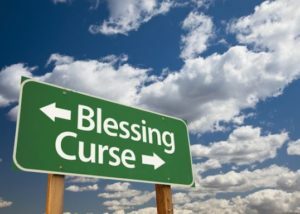 This is why the parasha begins by telling us that a person who fulfils the mitzvot will be blessed, while a person who does not fulfil them will be “cursed”, devoid of all blessing. 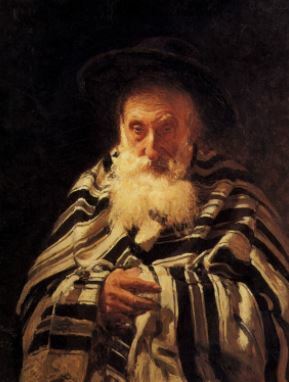 It is also why Jews going to receive a berakhah from a great tzaddik are often given a blessing only on the condition that they take upon themselves some kind of mitzvah. The same is true in prayer, during which it is customary to give tzedakah, tying our requests with the fulfilment of an important mitzvah. Every mitzvah that is done opens up another channel of Heavenly Light, and each time it is repeated that channel is widened and reinforced. 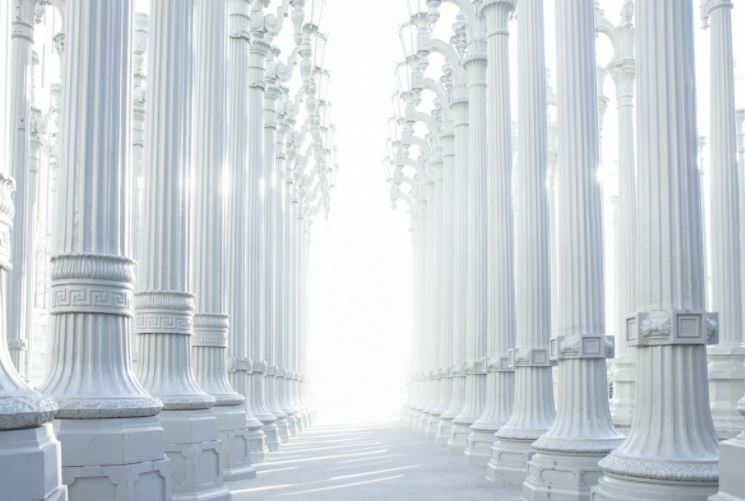 In fact, our Sages speak of precisely 620 channels of light shining down into this world, corresponding to the 613 mitzvot of the Torah, and the additional 7 mitzvot instituted by the rabbis (or the additional 7 Noahide laws). 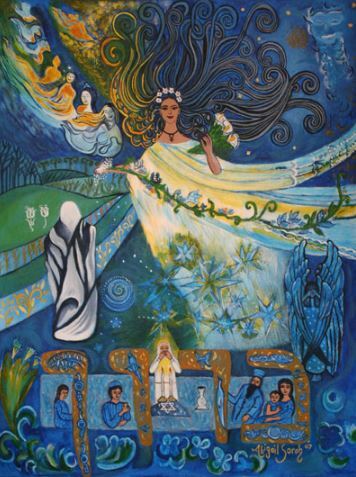 As we enter the month of Elul and begin a forty day period of heightened repentance and prayer, we should be thinking about which mitzvahs we can take on, which we might improve upon, and how we can further sanctify ourselves in order to become the purest possible vessel of divinity. 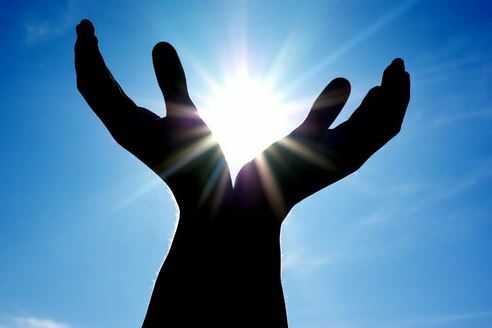 We mustn’t forget that the blessing is always shining down upon us; we must only be prepared to receive it. This entry was posted in Personal Development and tagged 613 Commandments, 620 Commandments, 620 Pillars of Light, Blessings, Brakhah, Charity, Gematria, God's Names, Infinity, Light, Mitzvah, Mitzvot, Noahide Laws, Prayer, Rabbi Aryeh Kaplan, Re'eh, Repentance, Tetragrammaton, Tzedakah on August 15, 2017 by Efraim Palvanov.